Bundesbank expects modest economic growth in Germany in Q4. Both the BoJ and the ECB are scheduled to announce policy decisions this week. The EUR/JPY pair is moving sideways on Monday ahead of this week's critical central bank events. As of writing, the pair was down 8 pips on the day at 124.65. Earlier today, Germany's Bundesbank in its monthly report said that the German economy was expected to grow modestly in the fourth quarter of 2018. "According to provisional figures presented by the Federal Statistical Office, real gross domestic product grew by 1.5% in 2018 as a whole compared with the previous year. Growth in aggregate output thus weakened noticeably as compared with the robust acceleration of 2.2% in the previous year," the Bundesbank said in its publication. Despite the gloomy outlook in the euro area's biggest economy, the shared currency was able to stay resilient against its rivals on Monday. However, if the ECB recognizes the economic slowdown in the euro area and adopts a cautious tone in its monetary policy statement on Thursday, the euro might come under a renewed selling pressure. Ahead of the ECB, the BoJ is also scheduled to publish its monetary policy statement. 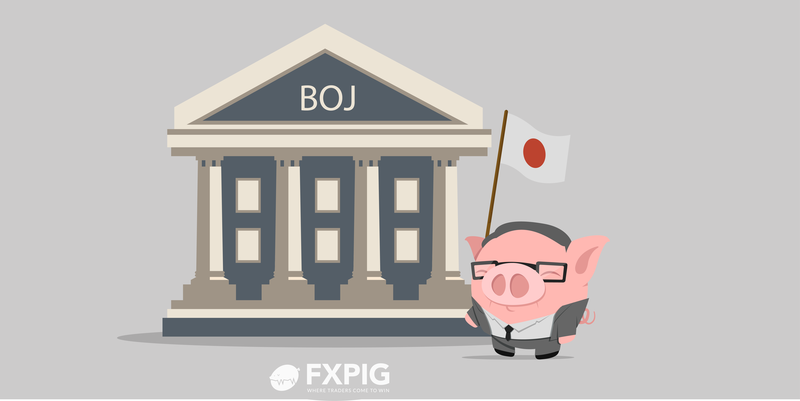 With inflation staying at alarmingly low levels, the BoJ is expected to reaffirm its dovish stance and maybe even ramp up its stimulus program. “Even discounting the oil effect, consumer inflation is weak. That’s because the current economic recovery is driven by the corporate sector and the benefits aren’t passed on much to households,” Yoshiki Shinke, chief economist at Dai-ichi Life Research Institute, told Reuters last week.